February | 2012 | Ipoh Mali Talak Sombong! 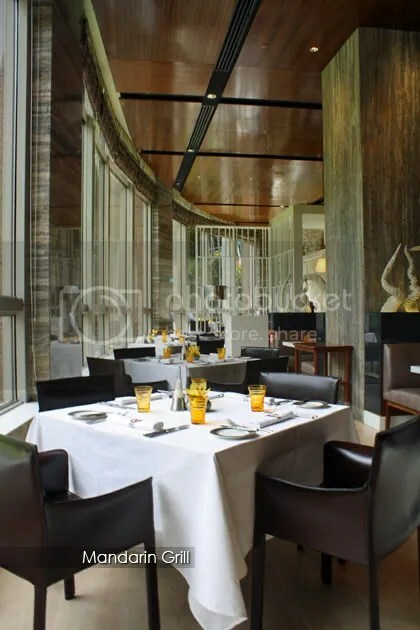 It was certainly one of those odd days where I found myself seated inside Mandarin Grill restaurant on a Saturday morning. In case you didn’t notice, fine dining is not a monthly affair (not even yearly!) to me. But then, a friend actually made the effort to arrange the brunch, so there is no reason for me to reject, isn’t it? *Oh, just a quick note for those who are clueless about Mandarin Oriental (like me, duh. I actually had to ask the guard in KLCC on the direction to the hotel), it is actually located right next to Suria KLCC. There are just too many hotels in KL that we sometimes lost count (and lost their sense of location as well). For a complete list of Kuala Lumpur hotels, you could always check out hotel booking website such as Asia Web Direct. It was a quiet Saturday morning. We were the first bunch of patrons of the day and we get to sit next to the high window overlooking the KLCC park – plenty of natural light for snapshots. 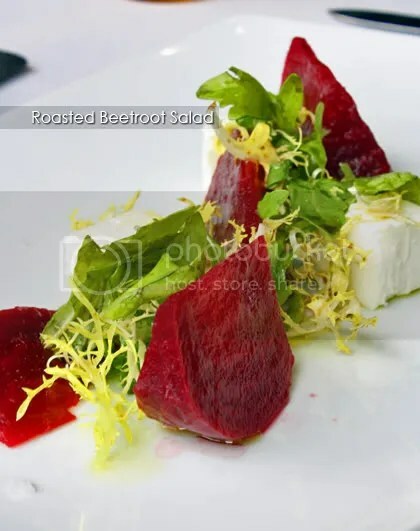 A menu is presented to us with limitations (RM78 for 2 courses and RM94 for 3 courses) – 3 items for each appetizer, main and dessert categories. There were four of us, therefore we ordered almost everything from the menu except the fruit platter. For starters, we had the Vitello Tonato (roasted veal with tuna cream sauce and endives), Scallop Carpaccio (fresh scallop paired with green apple dressing and apple slices and coriander cress and Roasted Beetroot Salad (beetroot chunks served with blocks of feta cheese, crushed pine nuts and leafy greens). 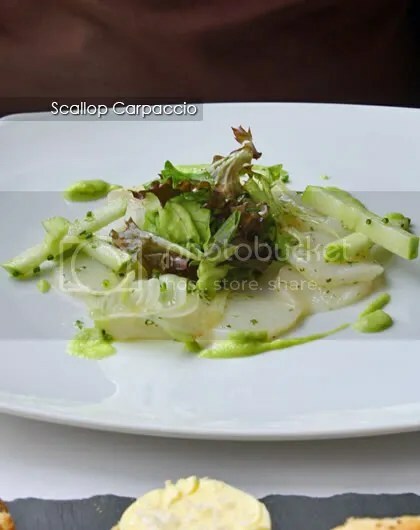 Out of the three, the scallop carpaccio has our highest votes for freshness and the sourish green apple dressing complement the scallop nicely. The veal fillet were a little bit dry and stringy, while the beetroot doesn’t seems roasted prior to serving. 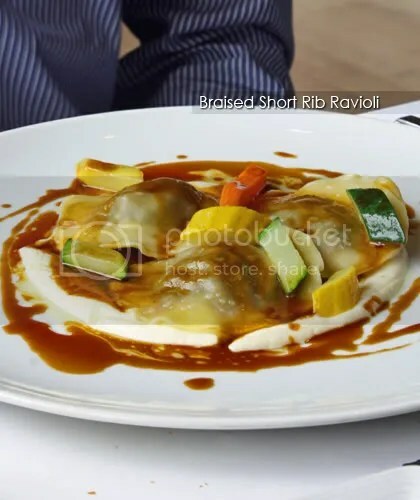 The mains – Braised Short Rib Ravioli (with cauliflower puree and rosemary jus), Butter Poached Salmon Fillet (served in lemon balm consomme and fennel) and Tagliatelle Pasta (tagliatelle in tomato concasse). 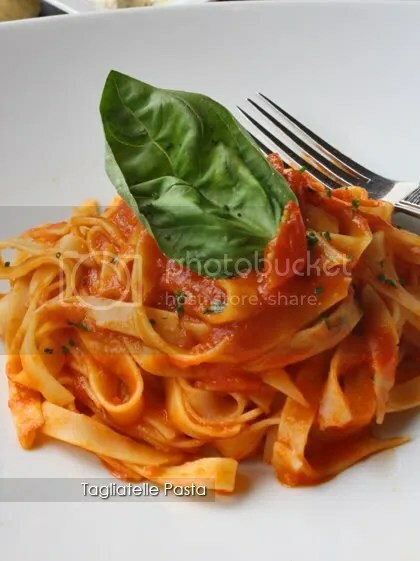 The pasta texture was too soft (overcooked?) to my liking and nothing outstanding with the tomato sauce. 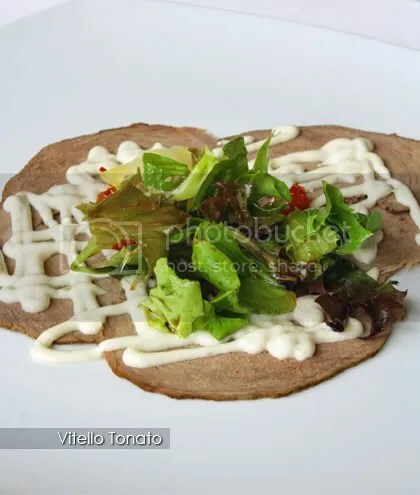 The ravioli fares better, the shredded short rib filling was flavourful but portion too small. 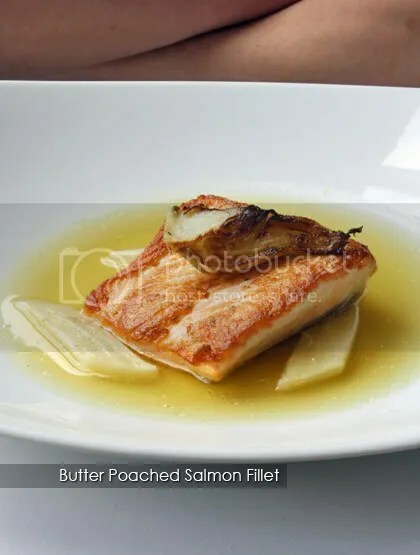 The salmon was nicely charred on the sides, with slight crisp and the consomme not too overpowering the fish. We skipped the fruit platter and went for the more sinful ones when it comes to dessert. CK had the Chocolate Ice Cream Coupe (with caramelized pistachio nuts and chocolate swirl) while me and the others had the Creme Brulee with fresh berries. 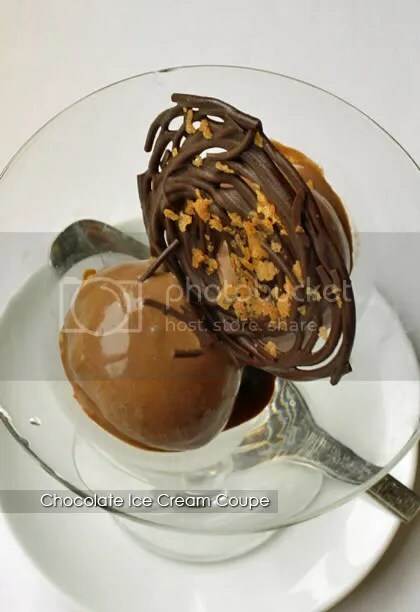 The ice cream definitely came from a premium manufacturer (not sure which company though) – silky smooth and bursting with intense chocolate taste. 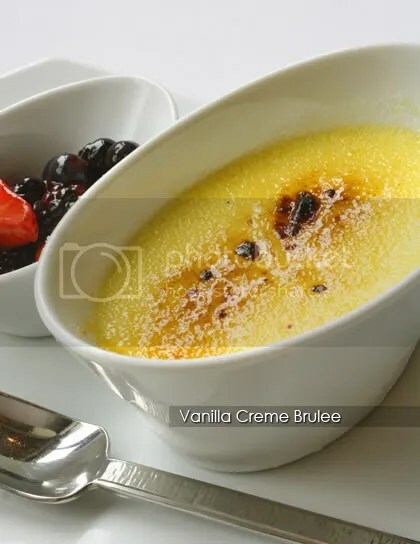 The Creme Brulee was pretty nice as well – the caramelized sugar on top wasn’t too thick and every spoonfuls of the custard were full of egg-y flavour, with the berries lent a slight tang to the dessert.